I am me, I am free. 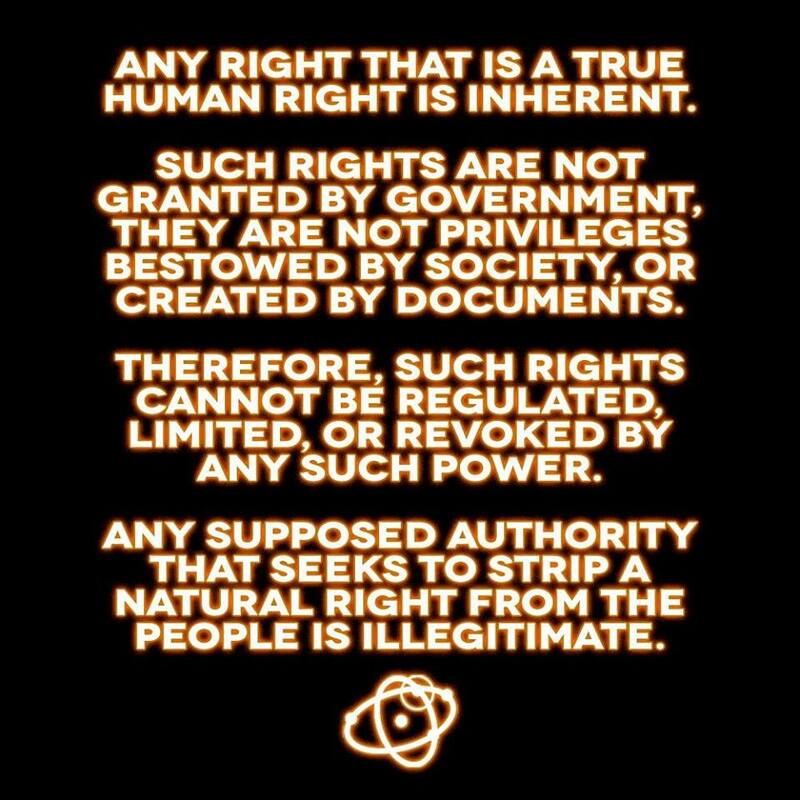 Not because I was granted freedom from some political organisation, but because I stand under the natural and inalienable rights I was born with. I know that I am responsible and liable for the consequences of my actions. In turn, I act accordingly with respect to the rights of others. In doing so I adhere to Natural Law only. I am not affiliated with, do not stand under the authority of, nor lay claim to the identity created by any hierarchical, political institution. I am that I am, a sovereign living being with all of the rights bestowed upon me by the creator, whatever that may be. I shall not be legally named. I refuse, reject and revoke all presumption of consent to create joinder with the Crown’s legal fiction: the PERSON, thus I am in no way subject to their fictional jurisdiction. I do not accept surety for any fictional debt, nor will I be used as collateral for the central banking system. 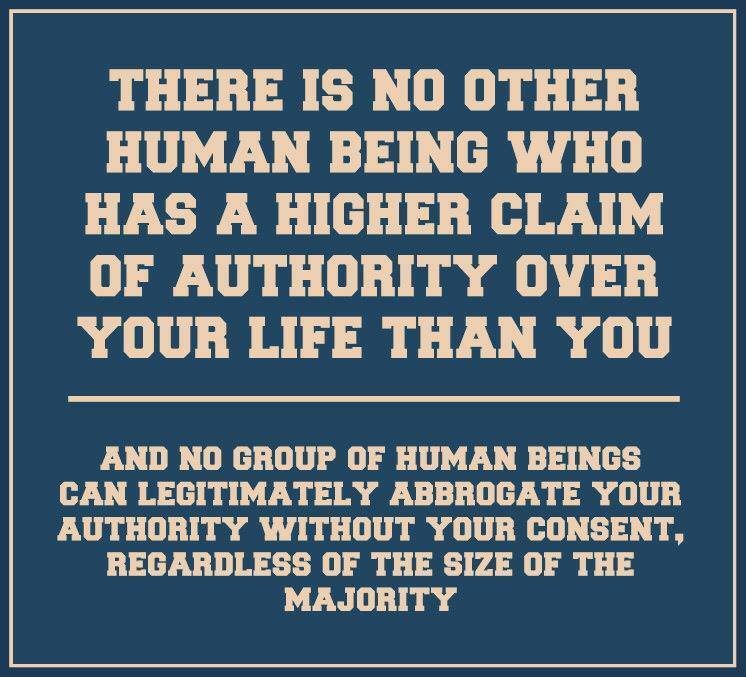 No other human being has a higher claim of authority over my life than me, consequently, no collective of human beings may abrogate my right to say no to the dictates of a centralised political force. I AM. 1. I own myself. Nobody has a higher claim to me, than me. This includes “society”. I can’t be forced into doing things I don’t want to, and I can be nobodies slave – except by a violation of my self. 2. As an extension of owning myself, the product of my time and action is mine. If I knit a blanket it is mine, if I build a house from unused trees, it is mine, if I put unproductive resources to use, they are mine. If I go to work and make $100 – it is mine. 3. The only real crimes that can be perpetrated are force and fraud. If a person is forced to lose their freedom, volition, or property (or it’s value) – or is tricked out of it – that is a legitimate offense. Other things like jay walking, selling marijuana, or prostitution are non-crimes because they do not violate any of the above axioms. I am commanded by law to pay taxes to murder the children of Iraq. Should I refuse to pay for the murder of babies in Iraq I will be fined in addition to being commanded to pay. Should I refuse to pay the fines or war monies, I will have my property confiscated (theft). 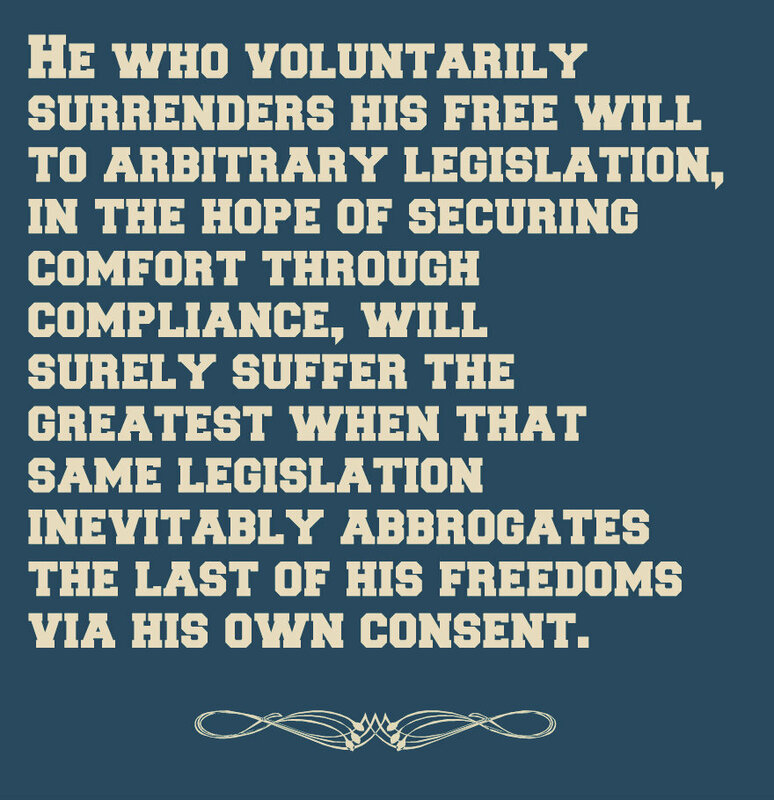 Should I refuse to surrender my property, I will be jailed (kidnapped and imprisoned). Should I defend my person, I will be killed. So, should people be killed who do not support killing babies and civilians in the Iraq war? 5. The social contract is void, since it is unsigned, and never agreed to. For an agreement to be valid, both sides must know and understand the contract – and must agree. 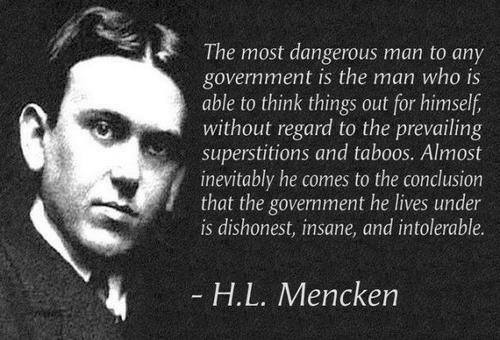 In the case of the “social contract”, this is not the case – therefore it is invalid. 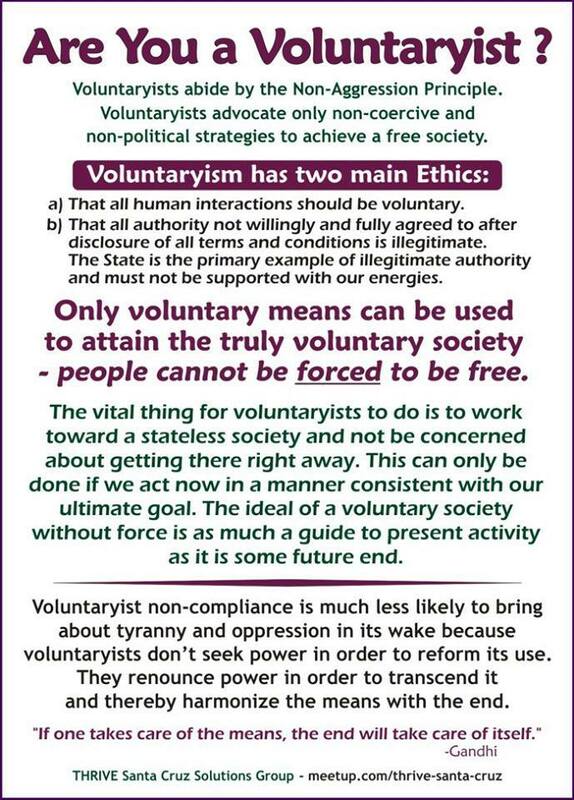 The result of these ideas is “voluntaryism” – the idea that when you and I agree to something, and I don’t force you, or trick you – then it’s fair and just. The contrary, coercion, is when people cannot choose if they will agree or not – and is unfair and unjust, and violates the primary axiom.